Who is doing the Accounting for the DCAA? Most accountants and auditors for the DCAA are college graduates, hundreds of them have advanced degrees, and over half of them (approx. 1,700) are Certified Public Accountants (CPAs). DCAA jobs are posted on USA Jobs. 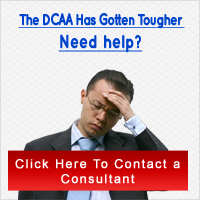 DCAA Rates – What Are The DCAA’s Hourly Billing Rates? What Are The Top Ten DCAA Audit Triggers? What Are the DCAA Guidelines? There is a Headquarters Office and five regional offices which manage 300 Field Audit Offices and suboffices throughout the US and abroad. The Headquarters is located at: 8725 John J. Kingman Road, Fort Belvoir, VA 22060, which is near Washington D.C.